Thoughtful analysis and commentary about The Columbus Crew and Major League Soccer, largely based on an accumulation of data. The lead up to summer’s World Cup in Russia was just going swimmingly but now Western Snowflakes are all in a tizzy. Whom among us has not ordered the use a nerve agent like something out of “The Rock” to attempt an extra-judicial killing on foreign soil? That doesn’t mean MLS won’t be sending its best and brightest to Russia. We’re talking, of course, about referee Jair Marrufo. Congratulations to Mark, Jair, Corey, Frank and Joe on a well-deserved honor! Real bastion of integrity , that guy. LA Galaxy and the Los Angeles Football Craft meet for the first time this weekend. While our investment in this manufactured rivalry — make that budding new daaaaarby — is directly proportional to how many minutes ZLATAN plays, we have to give it up to LA supporters for coining “El Trafico.” Alexi Lalas took to Twitter to assure everyone that MLS wouldn’t think of trademarking the nickname. The deadline for MLS to announce the next winner of the expansion beauty pageant is supposed to be imminent. FC Cincinnati is competing with Sacramento and Detroit for a franchise. We admit we haven’t followed all stadium tulmut too closely, but it sure sounds like FC Cincy’s biggest obstacle to securing a site is... DOOOOOOOOOOOOOOOOOONNN GAAAAAAAAAAAARRRRRBERRRRR! FC Cincinnati might be enthusiastic about Oakley. Sources tell me that MLS very much is not. For what it’s worth, we want FC Cincy to get a MLS franchise so we can #KeepHellReal. As everyone talks about the names of all these upcoming rivalries, lets all take a second to remember that #HELLISREAL is the greatest rivalry name in all of American soccer. Last year, we invested our hard-earned moola in a heavy-duty grill so we could cook enough hotdogs, hibachi, walking tacos, etc., to serve the whole #MEGATAILGATE on game days. The grill was supposed to bring joy to everyone for years to come. We entrusted PSV to steward this cherished community asset (i.e., the FO they said they’d store it in the shed between game days). You know where this is going, right? The Tekk Machine in Black & Gold tickled the twine for the first time Saturday against DC. And while there was a bit of a row on Twitter earlier this week when reports surfaced that Anthony Precourt may have shorted his former club SC Braga on the transfer fee, Greggggg was quick to correct the record. Remember when Greggggg told us we might have to wait a bit for 19-year-old Milton Valenzuela to transition into a more attacking role. Well that didn’t take too long. 👏🙌You'll always remember your first @MLS goal! According to our research, he’s the first Crew left back to score a goal since The Robbie Rogers, probably (look we don’t get paid to do that much research). Young Deepy has already played a part is as many goals through 4 starts as Juka Raitala did in 20-some last season. 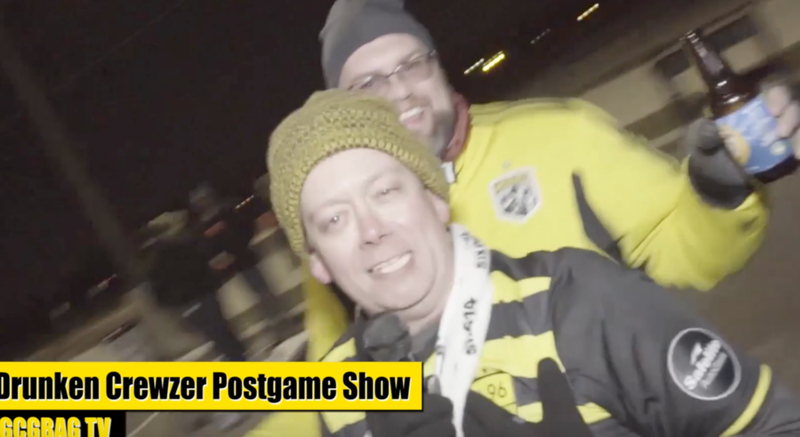 Enjoy every second of the Drunken Crewzer Postgame Show for DC United. The Maestro became the first Crew player to enter MLS’s vaunted 50-50 Club when he found Ricardo Clark from the corner in the 40th minute against DC. With that accomplishment in the bag, he can get back to the more pressing matters of leading the Crew to the Sextuple! Be it for Club or Country, where @wil_trapp leads, we will follow! Wil Trapp captained AMERICA to a 1-0 victory over Miguel Almiron-led Paraguay Tuesday night. The Crew skipper captured Man of the Match honors and was the catalyst for many a Yank attack. More importantly, he escaped Cary, N.C., relatively unscathed because Paraguay was out for blood. Same goes for Zack Steffen, who also picked up the clean sheet and has yet to concede a goal for the USMNT. Guess what other unstoppable force from Columbus made an appearance in the USA-Paraguay game? Guillermo O’Rourke is real-life, award-winning journalist and commentator. His book, Nine Lies: The Search for Crew Cat’s Killer still needs a publisher. Did you see something Good on line that should be featured in the next Starting 11? Tweet @gcgbag96 and let him know using the hashtag #DonGarberPeeTape. GCGBAG Starting 11: Crewsgiving Bonus Post!! Crew investor-operator Anthony Precourt was so desperate to be taken seriously in Austin, Texas that he arranged an “exclusive” interview with the American-Statesman this week. It most definitely wasn’t a reaction to columnist Kirk Bohls picking a part PSV’s relocation efforts like Pipa vs. a team of 1st graders. So how did the “boyish-looking, introverted” Precourt’s attempt to rebrand himself as anything other than a bungling failson [and monorail salesman] go? Let’s just say there’s so much gold in Bohls’ follow-up column that it would’ve finished top of the medal count in Pyeonchang. Honestly, we could devote next week’s entire Starting 11 to it but we couldn’t wait that long. So instead, we’ll just give you some of the greatest hits. WELL ACKCHYUALLY McKalla Place is a toxic chemical dump site that’s about twice as far from downtown Austin, Texas as MAPFRE Stadium is from Broad and High. If you were to put a copy of “Business Studies For Dummies” in a blender, run it on high for 7 minutes, dump everything out on the floor and pick 14 random page scraps, you’d be able to form a more coherent, meaningful sentence. How sold is he on Austin? “I have a total weakness for queso,” he said. 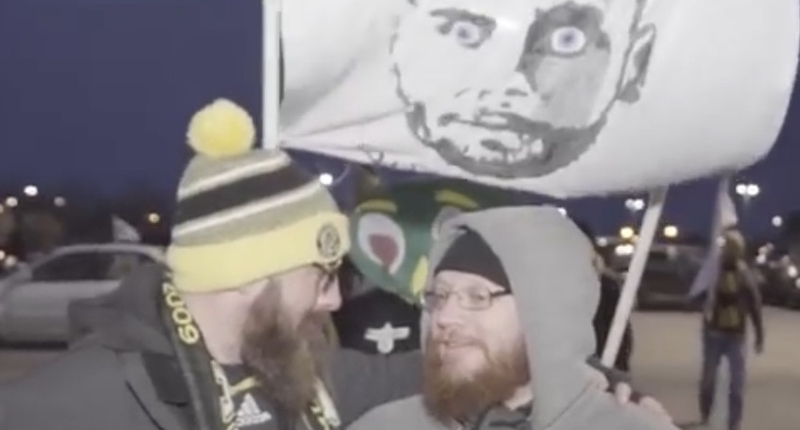 As evidence of his commitment, Precourt reminded that he announced his intentions to leave Columbus shortly before the Crew’s postseason run — a bold move, indeed. Would just any sentient “Entourage” DVD be able to pull off such an amazing display of cunning? It’s a masterclass! Why aren’t you giving him all of your parks, Austin!? Still, he’s anything but an open book, and that can foster distrust.